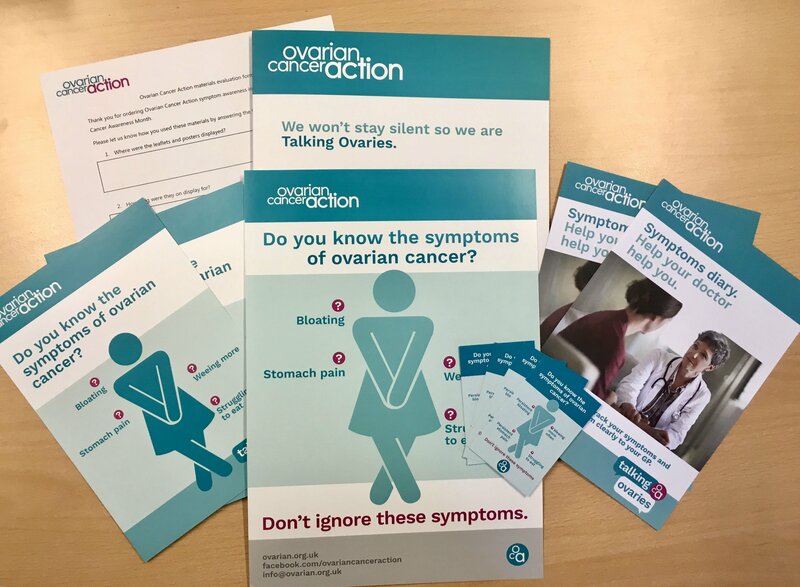 We want to be talking ovaries to as many people as possible, and can do this by coming to deliver an awareness presentation to your group, club, place of work, school or university. 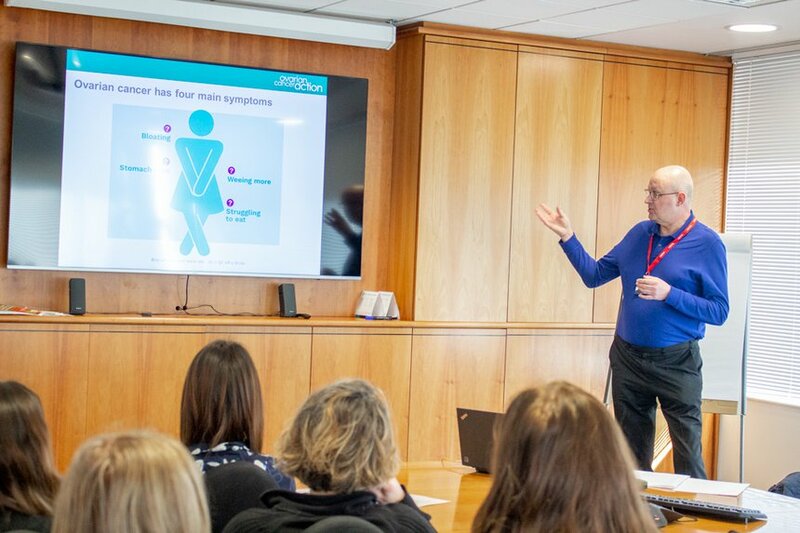 Covering things such as the key facts and stats about the disease, signs and symptoms, risk factors and how the disease is diagnosed and treated. Presentations are delivered by OCA staff and volunteers. If you have a group of people who want to listen and learn, we want to come and talk ovaries to you! Put our symptoms poster up in your toilets at work, community centre, gym or health club, pharmacy, church, mosque, synagogue or supermarket...use your imagination! Hand a symptoms card to everyone at work. Why not give them two and ask them to pass one on as well? GPs play a vital role in the diagnosis of ovarian cancer. They are the first port of call for women with symptoms, and early diagnosis often depends on getting women referred for investigations quickly. Until there is a national screening tool the way we can ensure more women are diagnosed earlier is to raise awareness. Awareness among women and their families, as well as among GPs and other healthcare professionals.